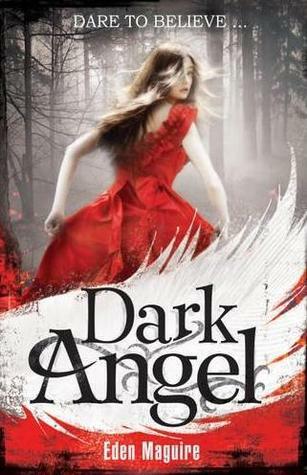 Dark Angel is one of those books that is both thrilling and different. I was really up for this book as I adored Eden's previous series, Beautiful Dead. But this was better, by miles. The book spins a new twist on paranormal romance that hasn't been done yet and keeps you on the edge for the whole novel, just waiting to find out what will happen. The plot is a basic good vs evil, girl discovering a alternate world theme but the way it has been done completely draws you away from that and this is what makes the book so special. It's a well structured strong plot, balanced in every perspective, and I thing it is so wonderful! The writing was blunt yet so whimsical and it gave all the info it needed to give short and snappy not droning on and on. It's a really compelling novel, and the writing is just what it needs. It's not too much of anything, just right. I have to admit, I did struggle with the first few chapters, but once i was in i was hooked. The characters, are pretty much set in stone. There aren't many, which is nice, because it makes it an easier book to read and build up a larger profile for each one, getting closer to them. My favourite character would have to be Zoran, only because he is the main mystery of the novel, and you just want to know more about him, and when you do, at the end, it's so crazily, scarily, awesome that you just love him and hate him at the same time. This book is definitely the art of twists and mystery put onto paper with a supernatural twist and I really enjoyed it!